Most people get confused about my Bull and Bear Tweets, Please don’t. I have been absolutely consistent in my position on bitcoin since Nov-2017, I always mentioned — Bitcoin is a 9 inning game. Currently we are in the 3rd inning. This is how it is being evolved. Bitcoin Run 2K to 20K — Everyone experienced it and I don’t need to explain this phase. 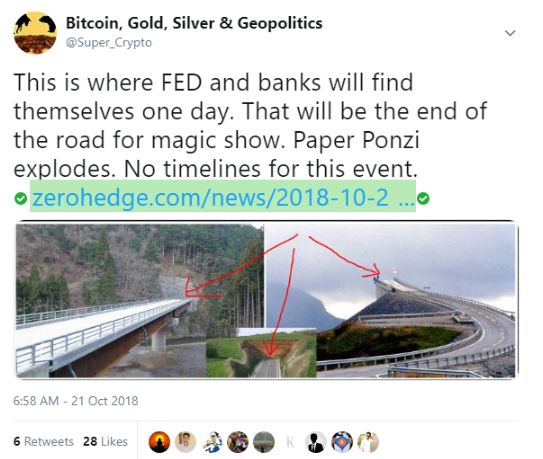 Gold’s “descent” & Bitcoin’s “ascent” is considered a “normal” event. It was not. Bitcoin moon rally was a “manufactured” event. You have right to get mad at me for saying this 😄 please keep reading. No one believed this will happen, but IT DID!! Now everyone believes it’s a natural correction. Good luck with that! This is just the 2nd inning. If I am right: This is going to be the longest inning – Few Years. There will be MANY RALLIES in this inning. Many possibilities here. It is too early to talk on this. Depending on when “They” lose control we may go to inning #9 straight away. — The Game ends when “They” lose control over the Markets. — The collapse is slow first, then sudden. — The Fractional Reserve (Paper supply Ponzi) ends. — Bitcoin, Gold, Silver moons. Be warned this phase may also include societal collapse. Look at Venezuela — Gold and Bitcoin have mooned. Are people happy about that? Probably not. Both the assets have worked as an insurance. I can write a book on this. But let’s keep it short. I point out 2 simple examples from the recent History. 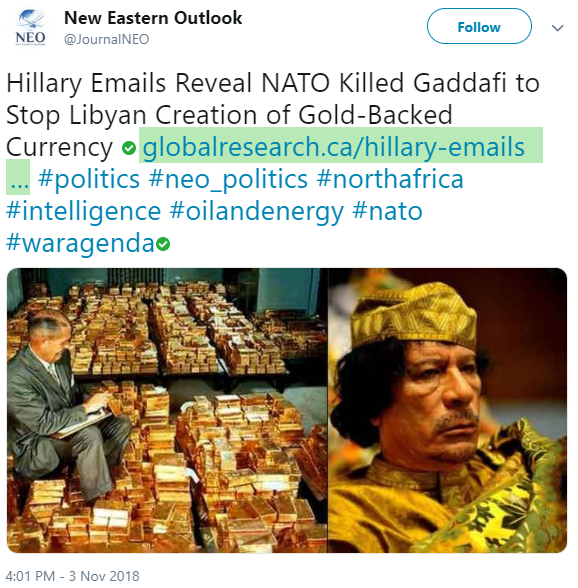 — Gaddafi lost his life & country for trying to create Gold-Backed Currency. 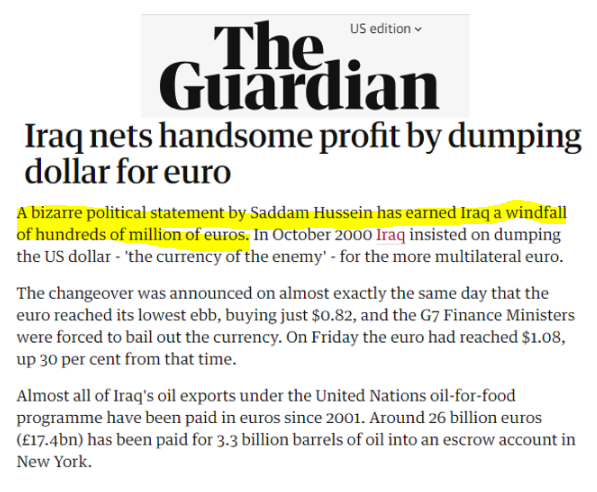 — Saddam lost his life & country for trying to back Oil with Euro. Same applies to Bitcoin. Unfortunately, there is no CEO-of-Bitcoin who can be killed to destroy Bitcoin, therefore, REST ASSURED, there will be efforts to keep the Bitcoin pinned down. This is the genesis of 9 inning game theory. Current Inning #3 is the Key phase of this game. Still have doubts about Gold & Silver manipulation? 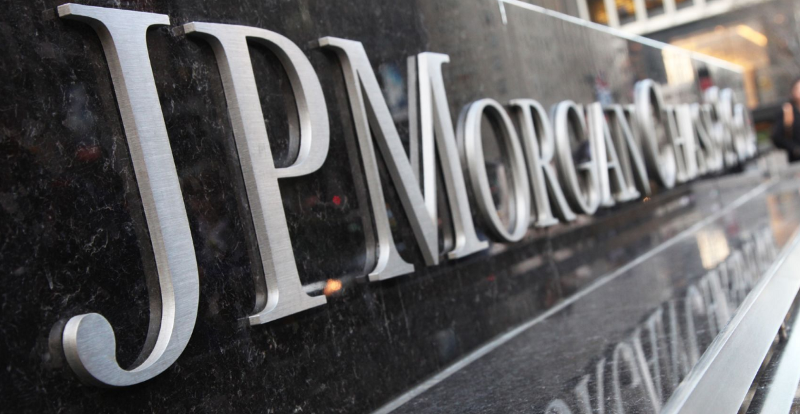 Former JP Morgan trader pleads guilty to manipulating US metals markets for years. Edmonds, a 13-year J.P. Morgan veteran, said that he learned how to manipulate prices from more senior traders and that his supervisors at the firm knew of his actions.